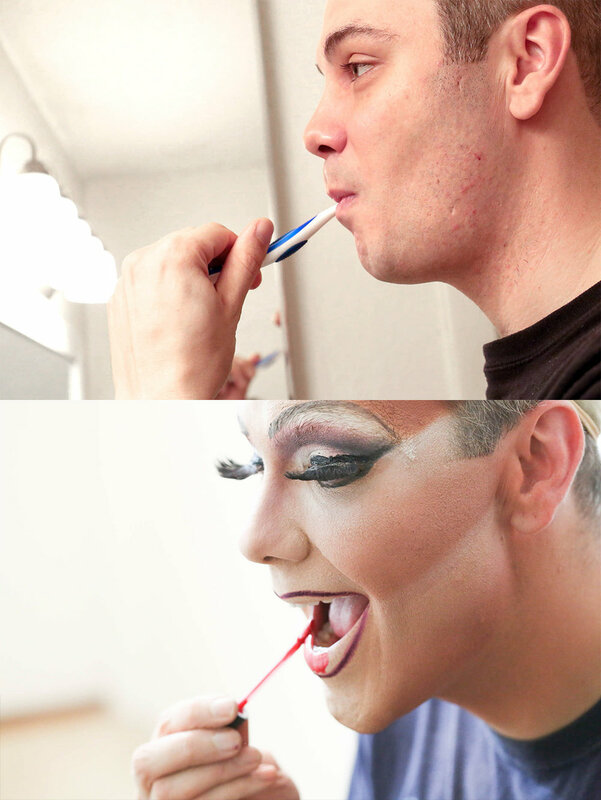 Justin Natvig, 35, is a drag queen who has been doing drag performances for over 19 years. He keeps this ceramic woman's face mask as a decoration on a table outside his bathroom. Vivian Vaughn is Natvig's drag queen name. On weekdays, Natvig works as the Court Co-Chair at Crape Myrtle Festival. He sometimes plays gigs at nightclubs to earn extra money, but also as his passion in life. It usually takes Natvig an hour to put all the makeup and drag outfit on. Natvig works as the Court Co-chair at the Crape Myrtle Festival, which encourages and promotes the development of services of persons with AIDS and/ or HIV infection. He attends the beneficiary giving event and gives a short speech at ORO Restaurant &Lounge in Raleigh on Nov.20. When he was a little bog, he would sometimes put on his grandma's shoes, dresses or even the makeup, which was the hint of his later drag life. Natvig usually finishes his complicated drag makeup in one hour. Natvig said this is a rough makeup since this is just for a portrait shoot, but when it comes to doing makeup for performing, he would do it perfectly because the audience would observe all the drag performers in close distance and see "what's wrong with those people." Usually putting on the lip gloss is his last step of face makeup. Justin Natvig was elected as the 2016 Miss Gay North Carolina America in 2016. 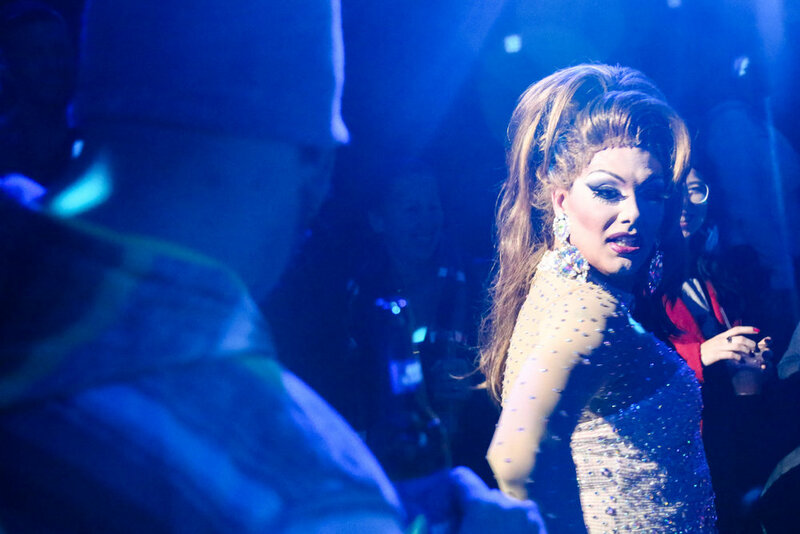 Legends Nightclub, a LGBT nightclub in downtown Raleigh, sometimes invites Natvig and other drag queens as guest performers. Performers take turns dancing and singing on the stage for three rounds. During the performance, they interact with the audience and get tips from them. The red curtain of the Legends show room is down with spot lights on before the second round of the performance on Dec.3. Justin Natvig performs in the second round in the Legends Nightclub on Dec.3. The audiences give tips during the performance. Natvig hug and kiss some of people who give money. Audience of the Legends Nightclub are not limited to LGBT people. There are gaps of around 20 minutes between each round of the performance. People usually gets in the show room five minutes before the performances. Natvig puts on his drag outfit after doing the face makeup on Nov.18. During later step of his make up, he puts some white powder on his face to create dramatic patterns. Natvig was always the first of the five guest performers to perform as the identity of Miss Gay North Carolina. He changes outfit for each round of the performance. He has a designer to make dresses specifically for him, but the little sparkling decorations on this dress were done by himself in the afternoon of the performance night. 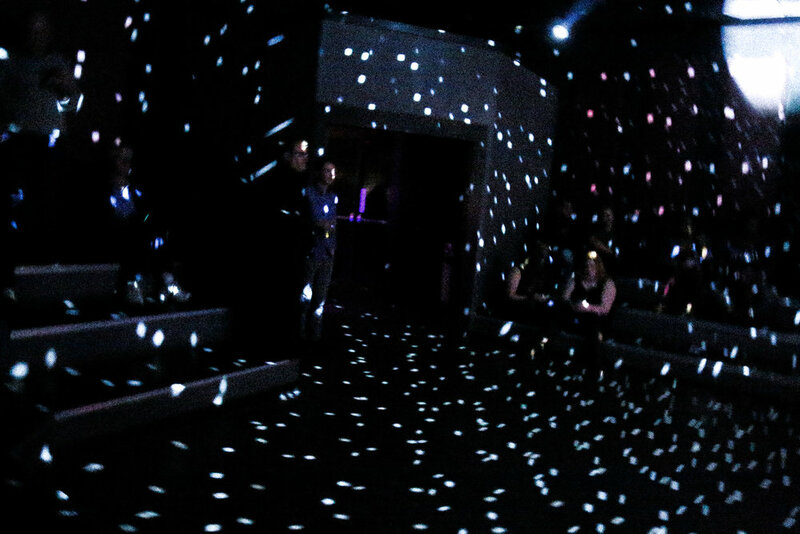 There are only a few people waiting in the show room of the Legends Nightclub in Raleigh between each round of performance. Waiters come to sell drinks on a tray. The visual effects of the lighting change to the music playing in the room.